Every single human desire, institution or idea was at some point manipulated and perverted in some way. According to Joseph Atwill we should be paralyzed at this point, because nothing is untouched. Maybe we should not listen to him at all, it is very likely he is some undercover agent muddying the waters, like many before him. Paranoia is a dead end, even if there is truth to many of the conspiracy theories. Joseph Atwill needs compassion and help, not disclosure. Regarding hanging up the phone, you mention that quite often Alex. Yes, you do hang it up, process the message and then you pick it up again. That's what every single practice is doing. There is a lot of prejudice and elitism in this attitude. There is another relevant quote: the medium is the message. Having just listened to the Joseph Atwill podcast I then watched The Super Rich and Us on BBC2, quite terrifying put together. I have been trying to find the conversation between Alex and Joseph Atwill about Ram Dass, please can someone tell me which podcast it is on. I really find it hard to believe that someone who shared Neem Karoli Baba as a guru together with Larry Brilliant and Raghu Markus, wrote Be Here Now and started the Seva foundation could possibly be dirty. Matthew 7v16 in the NIV says By their fruit you will recognise them, unless the New Testament is now discounted but it makes sense to me. I really find it hard to believe that someone who shared Neem Karoli Baba as a guru together with Larry Brilliant and Raghu Markus, wrote Be Here Now and started the Seva foundation could possibly be dirty. Matthew 7v16 in the NIV says By their fruit you will recognise them, unless the New Testament is now discounted but it makes sense to me. I agree... nothing about the last 40 yrs of his life suggests that he's "dirty", but am open to being proven wrong. 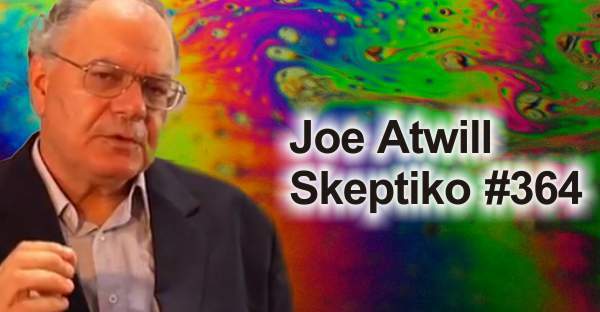 Joe Atwill makes some great points, but he's hamstrung by a limited understand view of consciousness. Thank you Alex. My confusion was that on the podcast you say to Joseph Atwill that when you last spoke you brought up Ram Dass. I assumed there was a podcast that I hadn’t heard but perhaps it was an off air conversation. I don’t think you have ever interviewed either Diane Corcoran or Dr Christopher Bache. Diane Corcoran is a retired Colonel who has been involved in producing a video on NDEs that will be given to medical staff and hospitals. For many years American veterans who speak about NDEs have been sent to psychiatric hospitals and drugged. Christopher Bache is a retired professor of religious studies from Youngstown State university, who wrote a book called Dark Night Early Dawn which explored his experiences with psychedelics. His view is that eventually a new human being will evolve but after much suffering. I think he is writing a new book, I hope it will be published soon. Hi Maggie... sounds like good suggestions. if you want to email me directly we can talk about how to get them on the show. I feel a deep spiritual bond with Neem Karoli Baba. Thanks Alex I look forward to listening to it. I think the world owes so much to Neem Karoli Baba for his continued insistence that Larry Brilliants work was to help eradicate smallpox. Larrys book is so inspiring. I have sent you a couple of emails re Christopher Bache and Diane Corcoran. "There is nothing wrong with them not wanting that pain." My point: that's not the point. NO ONE, or at least only the masochists among us, want that pain. I look at this question from the wide angle: When were we 'not enslaved'? It's not that 'the oligarchs' are trying to enslave us, we were born into slavery, some of us are just higher on the totem. The consumerism today is the evolution of serfdom in a post-industrial world. From birth I had no choice which family or where I was born into (or at least no 'conscious' choice), my mother and the hospital gave a certificate for me with which I must have for all future movement in the kingdom. I attended schooling provided by the state by force all my youth. I must have permission for all I do and am required to perform specific tasks all my youth and strongly expected to so until my death. My birth, children's births, education, and facets of my employment no matter what that employment is, is subject to the licensing and monitoring and taxing of the kingdom. It is illegal for me to grow certain herbs or sell my surpluses at market. I have no say which wars the kingdom will fight, no say over how its budget is spent, no say in pretty much anything, except some sham elections every few years which change nothing, except the minutest of details, like who gets to be considered married in the eyes of the law. The word 'slave' can simply mean 'not one's own master' and from our current conditions I have a hard time seeing when we became free as individuals and states from our serfdom centuries ago. It followed us here to the U.S and we have not escaped it and who is at the reins (reigns, pun intended) of it all is certainly not who we see on TV and it is not by accident or happenstance or anything new. Absolutely concerned! I have tried to talk with past friends about the deep state involvement in psychedelics and not surprising, they are very reluctant to approach it. I'm not through all the comments quite yet, but I am wondering how many here have had experiences with these drugs and if that's not a potential approach to come at this subject from, considering this automatic resistance from those who love/loved this culture and seek to defend it no matter what evidence they are forced to see, or continue to turn away from. We did a lot of drugs in my uni circles and I was always astounded how easy they were to come by. Now I know. We used to insist how this music we loved was made for this drug-induced state, and now it is proven to be in fact the case, the music and the drugs 'evolved' together. But the evolution, so-called, was operated, manufactured, on many levels. We can't get to the bigger questions of what that means, why/how, unless we are concerned. There's a Beatles quote, John Lennon I think, saying how the CIA got it wrong, that LSD was a liberator not a homogenizer, or controller, or some such, that they had intended it to be. Now we can say, oh John must have been a collaborator, or he was lying, or yay we beat the system at their own game, which is how it was intended, but that's not the question I don't think. Did the CIA get generations of young folks to willing submit to mind experimentation, to the point of even defending it and celebrating it for generations to come? How is that not mind control, social/spiritual control? The Sioux were not socialists as modern society has understood socialism. I do not think voluntarism is a total cop out at all and I have good reason to denigrate socialism, b/c I have lived in it. I was not a Sioux and I expect neither were you. What do you find so very, very suspect? Do you think the Sioux would be in alignment with socialism as we know it has been practiced in the modern world? Senator Chuck Schumer, "If you take on the intelligence community, they have six ways from Sunday of getting back at you." This statement is tantamount to an admission that the intelligence agencies control the elected government. Elected officials are afraid of them, and cannot restrain them or cross them. The executive order also applies to people or organizations who "have materially assisted, sponsored, or provided financial, material, or technological support for, or goods or services to or in support of" named individuals. There is a lot of speculation on who this might include. I believe Trump's intention is to sacrifice the left hand of the Deep State in order to save the rest of the body and head. While it will certainly be nice to see some of these perv-criminals go to prison, they are just the easiest targets. If Trump truly wanted to bring down the deep state he would not be cozying up to Israel and growing the military industrial complex (both things he said flat out he would be doing in his pre-election book.). The greatest power in the deep state is not human trafficking, although that is certainly an appalling concern, rather it is warfare--biological, DEW, weather, etc. WE the people are the victims, right now, of a depopulation agenda including all of these covert warfare operations, and then some. Some of this might certainly be disinfo and psyop, but that does not change the fact then that they at least want to seriously mess with our minds. Alex and community, does anyone know where I might get a copy of Secret Language of the Oligarchs? Alex and community, does anyone know where I might get a copy of ‘Secret Language of the Oligarchs’?